When Winter rolls around, I love nothing more than keeping warm – whether that be putting on the layers and wrapping up in a cosy knit or snuggling under a blanket with a mug of hot chocolate, keeping warm is my priority. 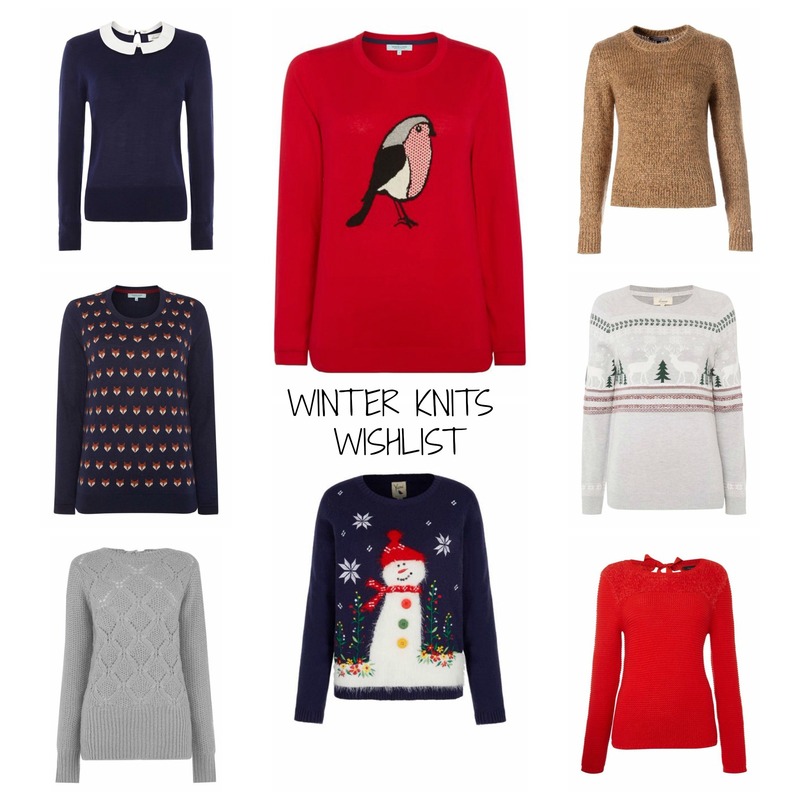 I’ve put together a wishlist of my favourite cosy winter knits available online and in store at House of Fraser. I’m much more of a jumper person than a cardigan so my wishlist consists of a few sophisticated ones, some everyday ones and of course some (obligatory) Christmas jumpers! The blue jumper with the white collar is something I would happily wear as a work outfit as is the grey jumper at the bottom. I would probably keep the red at the bottom right for parties as I love the tie back part of it and the fox and the golden one would make a great addition to my everyday wardrobe. I love the Christmas jumpers so much though – I’ve even got to wear one for a competition coming up at Slimming World if I remember rightly…eek – so I need to pick wisely. The tree one works so well if I want to wear a Christmas jumper without looking too silly but I adore the snowman one as it is just so cute! By far and away my favourite one is the robin however! I think it is absolutely beautiful and would work as both a Christmas jumper and for everyday wear. I’ve even popped this one specifically on my Christmas list for Steve and Jack – it’s gorgeous. Do you like cosy winter knits at this time of year? Where do you get yours from? Jack is so terribly hard to buy for when it comes to Christmas. With a birthday exactly three weeks before, I seem to exhaust all ideas of presents and really struggle with what to buy him. 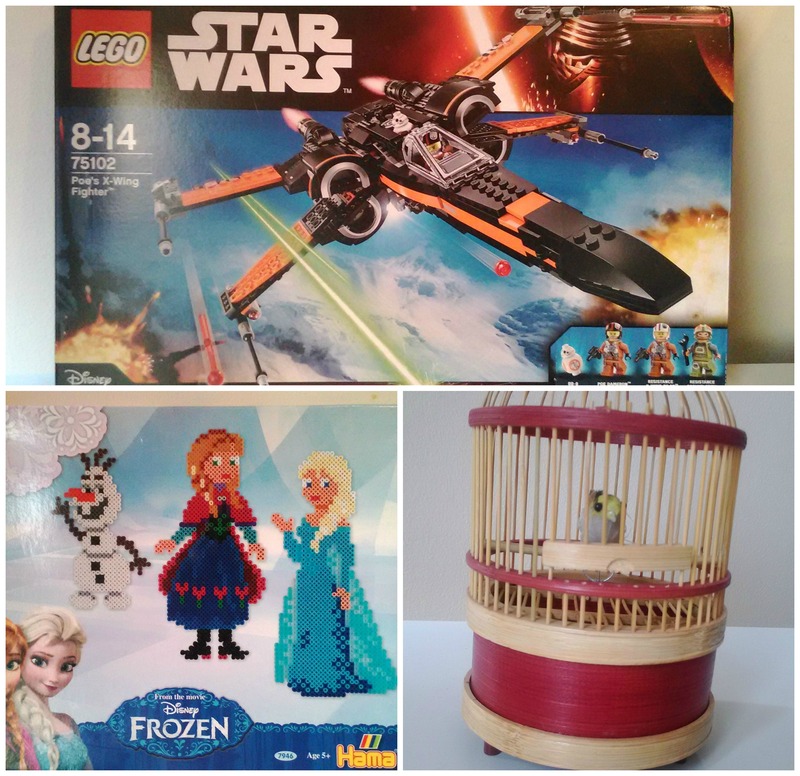 I’ve compiled a Christmas gift guide of some items I think most children will love. First up is the fantastic LEGO Star Wars Poe’s X-Wing Fighter Set. If your child is anything like mine, they love both LEGO and Star Wars so this is the perfect gift for them. We were lucky enough to be sent this to build and a full review will be coming soon! The Frozen Hama Beads are sure to be a much loved present this Christmas. Hama Beads are quite popular as it is and with such a popular film on board too, I can see this selling loads in the run up to Christmas. I reviewed this recently but why not treat your child to a bird in a cage from Hawkin’s Bazaar? Jack loves this still and although the noise may drive you mad after a while, it is sure to be treasured by your child. 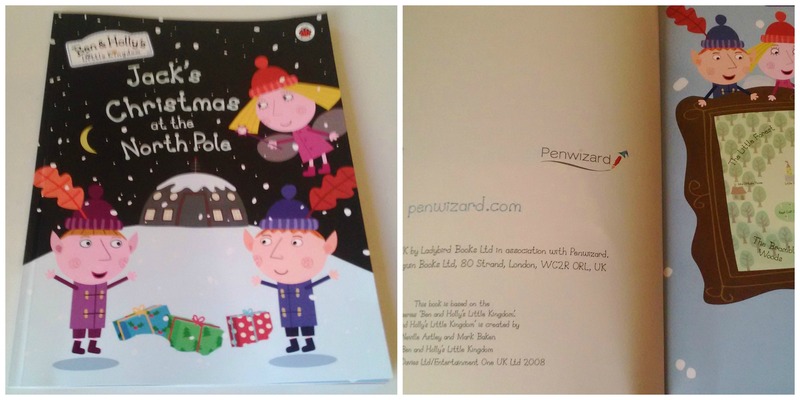 If personalisation is more your thing, how about a personalised Christmas book from Penwizard? If you’re quick, I even have a giveaway for one running until the 28th of this month, get entering! We will be reviewing our own one very soon. 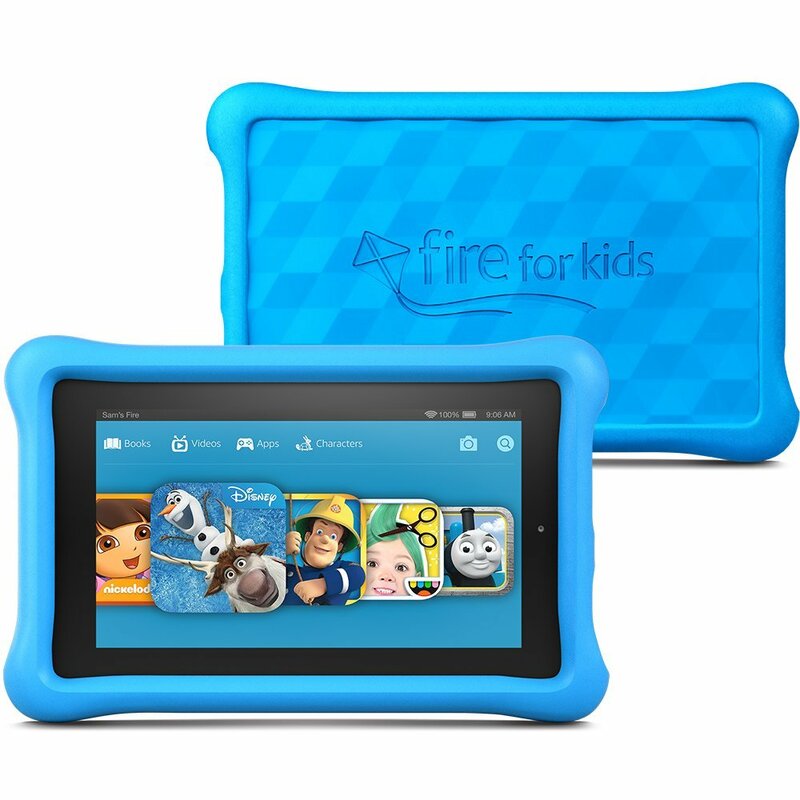 I’m definitely considering getting Jack a Fire Kids Edition with 7″ Display as the iPad is sometimes very hard to prise from his hands. His screen time is limited but I think the £99.99 for this (potentially cheaper on Black Friday) may be worth the investment. 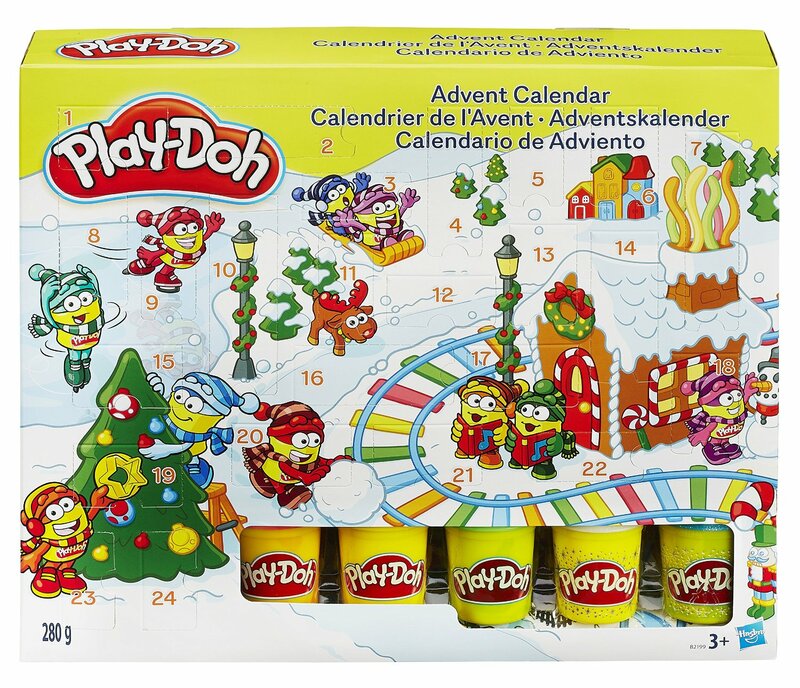 If you wanted to treat your child a little early to a non traditional advent calendar, this Play-Doh Advent Calendar for just £14.99 (currently on sale for £8.75!!) is definitely worth picking up. Jack spends half of his days playing with Play-Doh so he would really appreciate something like this. 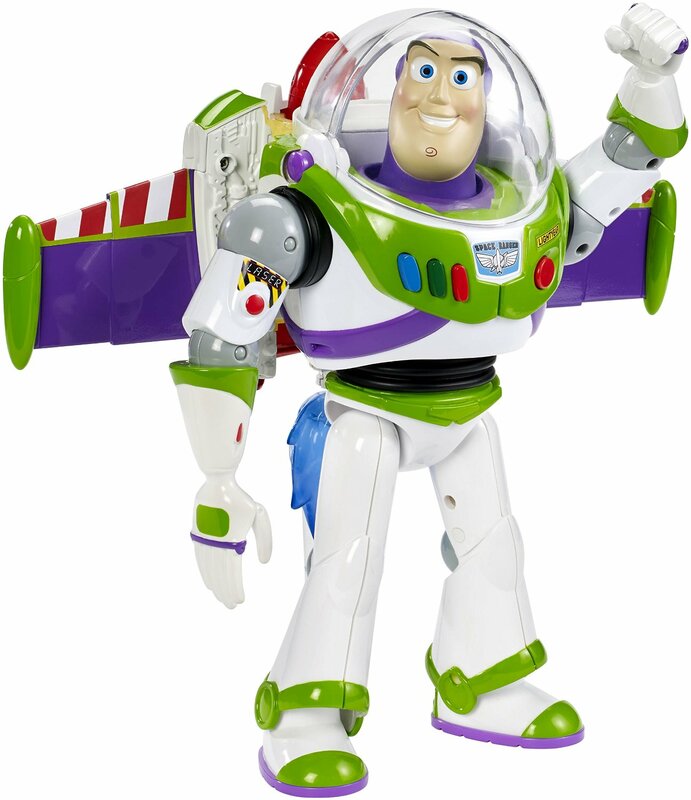 Jack is desperate for this Toy Story Rocket Blast Buzz Light Year Doll and I have been seeing lots of deals on this recently – it seems to be a very popular item on Christmas lists this year. I will definitely be picking it up, how about you? Finally…what would a gift guide be without some books? Here are a selection of book sets to span the ages featuring some of my favourite stories and authors from when I was a child! My picks for children this Christmas are: Paddington Suitcase (Eight book set) , Anthony Horowitz Wickedly Funny 10 Children Books Collection Set, Twenty Shakespeare Children’s Stories – The Complete 20 Books Boxed Collection and the Harry Potter Box Set: The Complete Collection . All fantastic stories that children will love! What have you picked for the children in your life this year? Anything on my guide? Post contains some affiliate links. Some items were sent for review. A random little selection here! First up we have the Fred and Bex fruit vinegar. I know what you are thinking – fruit vinegar, sounds a little odd, right? We were sent two of the flavours to try – the sweet blackberry and the sweet raspberry – and they tasted amazing! So sweet but so interesting too. The back of the bottles gives some options of what you can use them on and I think these would be a great gift for someone who likes something a little different. Next up we have something for the person who likes really hot stuff. In my case, that is my partner, my father in law and my brother in law – you can certainly tell they are related! 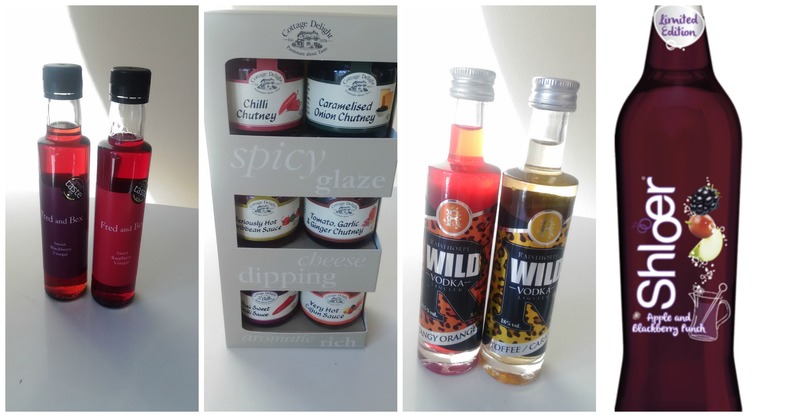 The Secret Santa gift ideas from Qwerkity which is where you can find this hot & spicy assortment from Cottage Delight are great, there’s a fab range! This would be the perfect Secret Santa gift for someone who you know loves a lot of flavour. If your friends are anything like mine, they love vodka…especially flavoured vodka. The flavoured vodkas from Raisthorpe Manor are certainly something special. The 9ct Blood Orange and Toffee & Caramel Shimmering Vodkas combine top-notch vodka with tangy blood orange or luscious toffee – as well as real edible gold. What’s not to love? A tasty alcoholic beverage that can be used on its own, in coffee or on desserts plus a little bit of sparkle? Win win in my eyes! Shloer never fail to pack a punch and they truly have delivered with their Limited Edition Apple & Blackberry Punch. It is very tasty and I feel it deserves to be in the range full time. Pick one up and let me know what you think. This is the perfect gift for someone who doesn’t enjoy alcohol but likes a nicely flavoured drink. 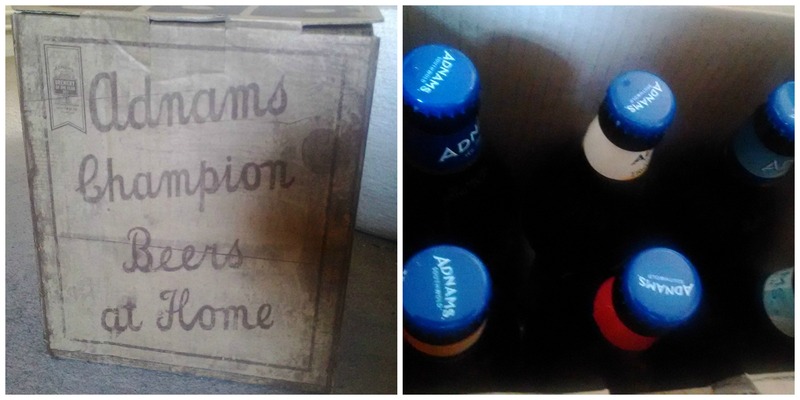 If the men in your life love a good beer, then why not gift them this fabulous Adnams Champion Beer Box. At £10 for 6 bottles, it is an affordable gift that is sure to be loved. We were sent some to trial for the gift guide and my father in law enjoyed trying them all – it is definitely worth buying at that price! Great gift. You can’t have a Christmas gift guide without chocolate and these chocolate boxes from Elizabeth Shaw are a fantastic stocking filler. With the Winter Warmer truffle collection perfect for those who love liquor chocolates and the Christmas Creations perfect for all of the family, Elizabeth Shaw don’t let us down in providing something for everyone. If you love flavoured coffee, then Cherizena is the coffee for you. My brother in law tested these out for us and said they were the best coffee he had ever tasted. They provide a range of flavours from around the world and can sell in large quantities too – what’s not to love? If you know of someone who likes something a little different, how about gifting them some snacks from Yushoi? These are low calorie rice snacks, packed full of flavour that are perfect for someone who loves a snack a little different to the norm. 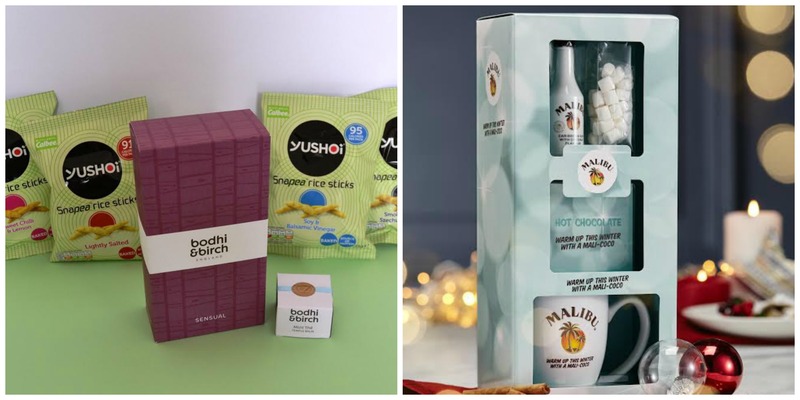 If you’re interested in these, I have a competition running in December for your chance to win your own Bodhi & Birch and Yushoi package – be sure to head back then! If you are a big cheese lover, how about a wedge of their favourite cheese and a Slate Cheeseboard? My final choice and something I really want for myself is the Malibu Hot Chocolate. Available to buy at Tesco, BHS and Boots, this mixes my favourite alcoholic drink with my favourite hot drink and I am sure it tastes amazing! If you have a massive Malibu or hot chocolate fan in your life, this would make a great present for them this Christmas! Would you like anything on this Christmas gift guide? Is there any particular food or drink gift that you are really hoping for this year? Some items were sent for purpose of review. 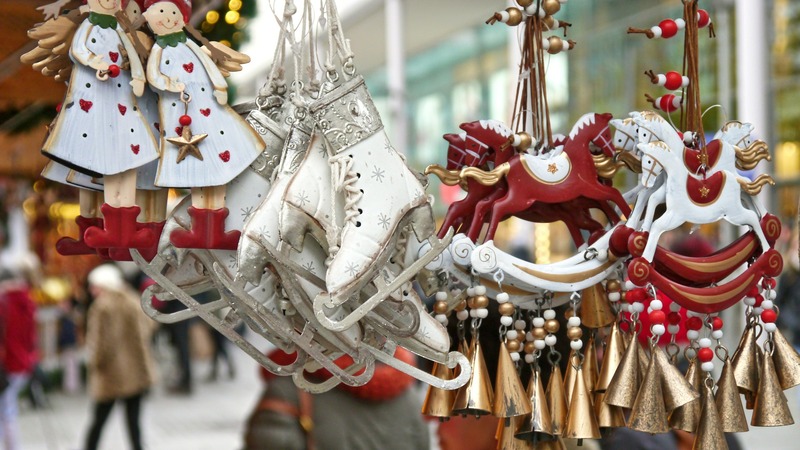 Mistletoe Market – Christmas Is Coming! Yesterday I woke up, sure that something was happening but baffled if I could remember what. It wasn’t until I checked Facebook that I realised that the Mistletoe Market was on this weekend, at the showground near me. I love our local markets and events in the run up to Christmas, I always find such amazing gifts for people at affordable prices whilst also knowing I’m helping out someone local. Jack likes them because he often leaves with a couple of things – in fact he left with three things yesterday! Despite the rain, myself and my friend Laura took Jack up to the market, determined to get some fantastic gifts for people. 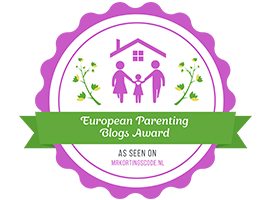 There was pretty much anything you could think of and we had great fun sampling the products and entering the free prize draws dotted around – I love a good competition! The main stalls I wanted to look at were the alcohol and food stalls as these are always handy presents for family members – both sides of the family would be quite happy with some ales, vodka or gin or even some flavoured cheeses or assorted fudge. Jack found a couple of stalls that took his interest – a superhero one was his favourite and he left with a Flash costume, courtesy of Auntie Laura. He also picked up a tree decoration (he loves picking a new one each year) and got to try a delicious cupcake…I was very jealous. I came back with two presents – one for Steve’s Dad which I can’t reveal as its a surprise and from Jack and the other I gave to Steve when we got home – three different flavoured cheeses, made locally. He was very happy with his present! In a couple of weeks time, we have a Christmas bazaar at Jack’s school and then the next day is the annual village Christmas market too – and I can’t wait!